Kalnin Ventures of Denver Colorado makes investments that create long-term value in the energy industry. Kalnin Ventures has acquired its fourth Marcellus Shale acquisition in just over 22 months by understanding the macro trends and value chain discontinuities of the industry. The company’s strategy is being realized in real-time and it’s deployed over $200 million in equity to capitalize on that strategy which is focused on acquiring, managing and monetizing these assets. As a result of this deal, Kalnin Ventures will hold an interest in 241 active wells with 6 additional wells waiting on completion, and provide the company with net production to the interest of more than 50 million cubic feet per day. Kalnin is one of those rare companies succeeding in a volatile oil and gas time and they remain profitable as evidenced by its strong cash flow yields and fund’s bottom-line profit. 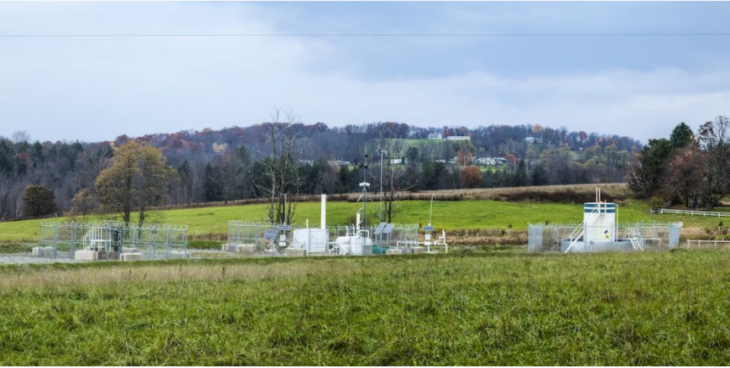 This summer (May, 2017), Kalnin Ventures LLC signed a Purchase and Sale Agreement (PSA) on its fourth acquisition of a non-operating portfolio in the northeast portion of the Marcellus Shale, on behalf of its BKV Fund and investor Banpu Pcl. Valued at $16.25 million, the agreement was executed with Zena Energy LLC and is comprised of interests in 34 wells, operated by Warren Resources. The asset will generate cash immediately and fits within Kalnin’s strategy of acquiring profitable assets. Other terms of the deal include net production to an interest of approximately six million cubic feet per day, 33 BCF of 1P reserves and access to nearly 1,000 net contiguous acres in the productive Marcellus Shale area of Wyoming County. With the addition of this fourth acquisition, Kalnin Ventures will hold an interest in 241 active wells with 6 additional wells waiting on completion. The transactions provide Kalnin Ventures with net production to interest of more than 50 million cubic feet per day. In less than two years, Kalnin Ventures has executed four transactions and deployed more than $200 million of equity toward its strategy of building a scalable model of acquiring, managing, and monetizing non-operated portfolios. THE OGM: What’s the vision and goal for Kalnin? CHRIS: Our goal since opening our doors has been to use big data and technology to identify strategic assets and apply our unique approach to managing non-operated assets,” said Christopher Kalnin, managing director and Co-Founder of Kalnin Ventures LLC. “We continue to seek – and find – attractive opportunities and operating partners. Looking toward the future we will continue to operate in a space where we utilize technology and non-operator management to help improve operator performance and drive attractive risk adjusted returns for our investors. THE OGM: How did you get involved in oil and gas investment? CHRIS: I was exposed to the oil and gas industry during my consulting career with McKinsey and Company in Asia. We served a lot of major energy clients in the region and I ended up doing a lot of strategy work for them. I fell in love with the industry then and was eventually hired to be a Chief Strategy Advisor to the CEO of Thailand’s National Oil and Gas Company PTTEP. When the unconventional boom started in the U.S., I had the opportunity to mobilize money from Asia to be directed towards attractive risk-adjusted unconventional plays. That was the beginning of our $500 million oil and gas investment fund. The OGM: What variables make an interesting ‘play’ in your view? CHRIS: We look at a combination of risk (how much variability there is in the well results) and return (what type of cash flows can we expect over the life of the field). We find that there are a number of plays that have been “overlooked” due to the hype around plays such as the Permian. These plays that have been “overlooked” offer very low risk in terms of reserve estimation and very nice cash flows over the life of the field. This is where we focus our attention. The OGM: Why oil and gas and not renewables? CHRIS: I don’t see oil and gas and renewables as competing sources, rather as complementary sources of energy. This is particularly true if you think of natural gas. The problem with Renewable energy sources is that they generally offer large swings in energy/power generation. For example you get a major burst of energy when the sun is shining or when the wind is blowing particularly strong, however, you also have major downturns when the opposite is true. Natural gas offers a perfect augmenting and relatively cheap (and low emitting) energy source to smooth out these major fluctuations in energy output from renewables. In terms of actually investing in renewables, there are a number of funds already out there doing that and our team doesn’t have particular expertise to outperform existing funds in this area. Our expertise is in upstream unconventional oil and gas investments, so that’s where we have chosen to focus. Over the long-term, we would not rule out an expansion into renewables, if we can create a differentiating capability in this area. For now, however, we are focused on oil and gas where there are many attractive opportunities and a bright future in conjunction with renewables. THE OGM: Where do you see fracking in the US going? CHRIS: I see increasing regulation being put in place for fracking. I believe that it’s important that neutral and transparent bodies that are trusted by the public at large provide transparent monitoring of activities conducted by oil and gas drilling and fracking operations. In the short-term, this may sound painful for the industry, but over the long-term, I think it will enable the industry to sustain and grow as public trust in fracking gradually increases and becomes more grounded in transparent facts. I also see the technology around fracking evolving continuously whereby we use a lot more machine learning and automation (including potential robotics) to help with driving increase efficiencies and reduce safety/environmental concerns. We already see this in offshore activity. 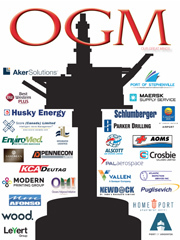 The OGM: What are the factors that led to your success in acquiring assets in the Marcellus region? CHRIS: We focus on a couple of specific things: (i) picking the right spots: identifying and targeting opportunities in core areas (unconventional plays are all about location, location, location), (ii) value investing approach: pricing acquisitions attractively by identifying undervalued assets (right now this is typically gas assets that are non-operated), (iii) focus on cash flow and strategic flexibility: acquiring assets that are cash flowing day 1 and using only equity (no leverage) so we have maximum flexibility and staying power in a volatile market, (iv)building trust-based relationships: working with operators to optimize these assets using Big Data approaches that we are pioneering and (v) building a track-record of performance with operators and investors, so we are seen as a preferred party to deal with. The OGM: What’s important for people to know about the Marcellus play? CHRIS: People need to have an appreciation of how important the Marcellus play is in terms of not only absolute energy output but for the US economy as a whole. Across the globe, no other country on earth has the combination of massive economy and energy resource sitting (literally) in the same spot (New York City is only 200 miles from some of the best areas in the Marcellus). Think about the fact that the Marcellus has the potential to produce over 30 BCF/day (that’s over 40% of today’s total natural gas production for U.S.). With an economy that’s increasingly going to move towards electric power generation (think of electric vehicles, Tier 3 Data Centers, etc.) natural gas is going to be an increasingly important source energy that produces that power generation. The Marcellus is at the heart of this energy renaissance which will drive low cost electricity and gas feedstock to stimulate long-term U.S. industrial and technological growth. We are entering an exciting new phase in the Marcellus which should start to consolidate to a few players and economics of scale and the learning curve ultimately drive profitability in the play. The OGM: Do you have a list of factors do you consider when choosing an opportunity? CHRIS: Back in 2014 we conducted an exhaustive strategic review of over 40 unconventional plays across North America. We broadly looked at (i) attractiveness (in terms of financial returns), (ii) ability to access opportunities (in terms of numbers of players and their willingness to transact, (iii) technical risk of the play (in terms of number of wells drilled and the level of certainty around reserves), (iv) major bottlenecks/constraints e.g., water access, midstream infrastructure, etc. and (v) access/proximity to key markets. Based on our analysis we ranked 3 oil plays and 2 gas plays as being most attractive. When we actually started to review on-the-ground deals, we found the Marcellus to be the most practical and attractive play where we could acquire core acreage at reasonable prices. The OGM: What are Kalnin Ventures greatest challenges? i. Getting operators to understand and appreciate how we can add value as a non-operator. They are just not used to a proactive non-operator like us, and initially are often resistant to our approach. However, we have managed to gain very good traction with certain operators that see value in our proactive non-operated approach, particularly if we can bring unique insights through our Big Data approach and then put our money where our mouth is with our funds. ii. Our second major challenge is working with the midstream infrastructure and midstream agreements to create sustainable value for the upstream position. In particular, most midstream gathering and compression contracts in the Northeast are very onerous to the upstream operators and extract a tremendous amount of the value off of well head net back prices. Long-term a solution needs to be made here how more reasonable gathering and compression rates can be negotiated to sustain the economics for upstream operators. iii. Finally, continuing to recruit and find high-quality people is always a challenge. We spent over 100 man hours per employee hired in our company, as it is critical to hire people that have the right capabilities, character, and chemistry with our team. Being in Denver is an advantage as there are plenty of talented people who live or want to move here. However, this is always something that is top of mind for me. The OGM: How has technology and innovation changed the game? i. Productivity – Increasingly, technology and innovation around things like completions designs and artificial lift improve the productivity of wells and estimated ultimate reserves that are recoverable. ii. Efficiency – Using technologies such as automated well surveillance and real-time field data/analytics, allows operators to increasingly drive down costs while maintaining production levels. This translates into bottom-line improvements for upstream operators. The OGM: How much of oil and gas exploration and discovery is luck and how much of it is a strategy? CHRIS: For unconventionals today, in the major plays, very little is actually luck. The luck part usually comes into effect early in the life of a play when people are trying to lease up an area because they suspect that they can produce economic unconventional wells from that area e.g., the Scoop and Stack play in Oklahoma. However, once enough wells are drilled in a play (say several hundred or thousands), the core areas of the play become clear and then the game moves into a full-field development of the play, which is really a strategy game. In this regards, the name of the game is location and consolidation. So the winners in unconventional plays long-term (I believe) will be the operators that have worked diligently to build the best acreage positions, have utilized the best technologies and process approaches to streamline their operations and who can attract the best cost of capital to consolidate their positions in the play (and drive returns). Of course, there is always a degree of luck involved, but the long-term winners in mature plays will be more strategic than lucky. 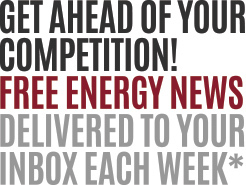 The OGM: Why do you think oil and gas companies get such a bad rap? CHRIS: I think it’s because the mindset of the industry has been one which is reclusive and non-transparent (broadly speaking). This largely is a hangover from the conventional oil and gas days, where information about oil and gas areas was fiercely guarded and could make or break a company (if leaked). This combined with the fact that the industry attracts a number of very financially driven folks who build smaller independent companies that lack the sophistication and social consciousness of larger more established (and socially conscious) companies. This is particularly true of on-shore unconventionals where the entry costs to get into the industry are relatively low. However, I think this perception will change with time, as operators realize that positive public perception of the industry is critical to sustaining the long-term survival of the industry. As a new generation of leadership (like our company) takes over with much more socially conscious investments and development, I think the mindset of the industry (and ultimately of the public at large) will change – and hopefully for the better. The OGM: How did things go ‘so wrong’ at Chesapeake? CHRIS: I think it boils down to hubris. They had a lot of good ideas but the company (at least in its old form) thought they could “change the laws of economic gravity” and, in the end, gravity always wins. This pertains specifically to their practices with dealing with land owners, other operators and how they managed their funds. TheOGM: What do you think about international factors and how they impact investment? For example, what do you think is ‘really’ going on in Qatar? CHRIS: That’s a tough question. I think international factors are clearly driven by politics. My sense is that Qatar’s closeness to Iran is ultimately what is driving tensions with Saudi Arabia. These conflicts are incredibly challenging to understand and often involve hundreds of years of history between the various ruling families of Shite and Sunnis in the region. I don’t pretend to understand all the politics there. However, one thing is clear, making investments that rely purely on OPEC decisions to cut supply is an unsound strategy. Operators in either oil and gas need to accept the new reality that prices could be lower for much longer, and the new normal is about surviving and becoming cash flow positive in a low commodity price environment. 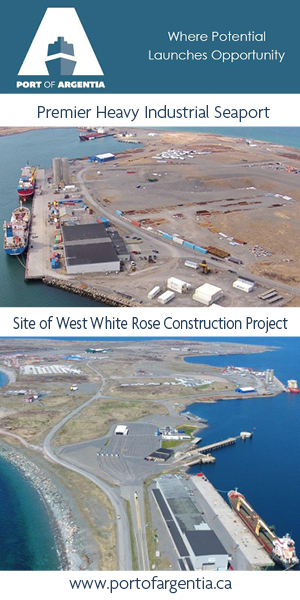 TheOGM: Has Kalnin Ventures considered Offshore Newfoundland as a place for investment? CHRIS: No, not at this time. Our focus has been on on-shore investments as we can more easily bracket that risk and the cost of entry is lower. Longer-term as we grow as a fund, I wouldn’t be surprised if we look at offshore opportunities as well as international opportunities, however, that’s definitely a few years out.